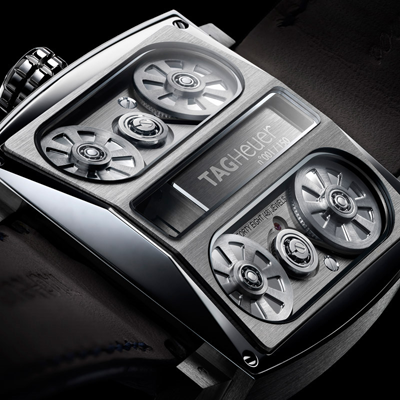 In 2004, TAG Heuer unveiled the Monaco V4 Concept Watch, the world’s first watch with belt drives, linear mass and ball bearings. 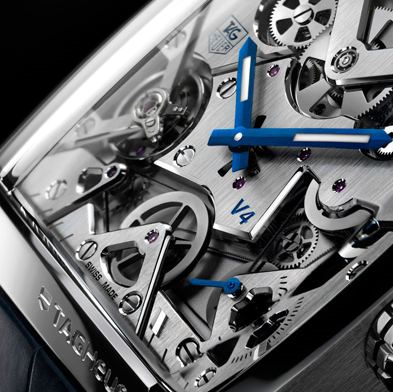 It’s taken 5 long years, but on the eve of its 150th anniversary, TAG Heuer has unveiled to the world what many industry insiders said would never see the light of day: The Monaco V4 in commercial production. 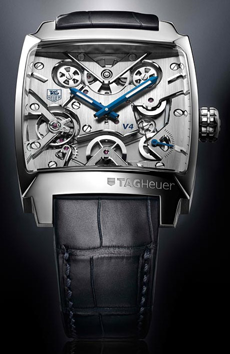 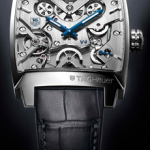 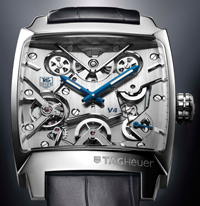 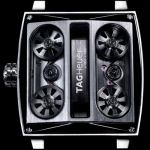 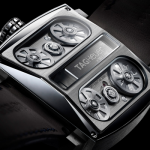 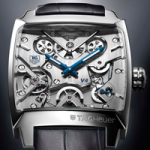 Double-patented Monaco V4, 100% TAG Heuer-made, outdoes its own legacy. A bold technical masterwork unlike any watch ever seen or imagined, it both exemplifies luxury Swiss watchmaking tradition at its finest, and completely turns that heritage upside down and inside out. 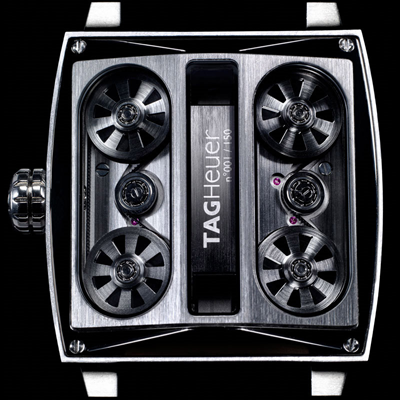 And now the V4 has its own iPhone application (Monaco V4), with a 3d interactive and animated model!